It is a weekly routine for some but the first time Regina Campbell stopped by. Shaker Heights resident Jane Finley started Across the Lines to spread her love for art. “My vision was around connecting across lines, across lines that divide us, across lines that separate us," Finley said. 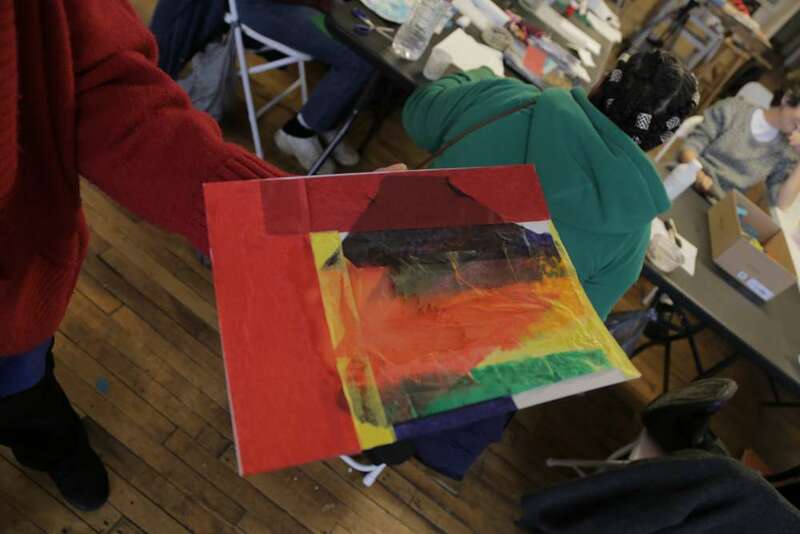 Finley arranged the studio space and purchased supplies with a $4,386 grant from Neighborhood Connections and Cuyahoga Arts and Culture. Each week Finley or a visiting artist presents a prompt and materials to get the women started. They then have the freedom to interpret it as they like or work on other art that interests them. “I really want to be open to what the women and folks who are creating in this space, what their ideas are,” Finley said. 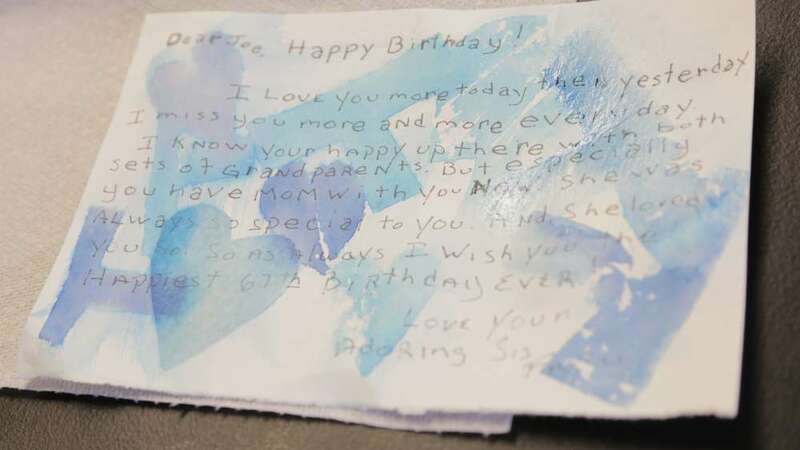 Fritzi Sansbury spent one session working on a card in memory of her brother. While the process brings on tears, Sansbury said making art is therapeutic. Many of the women were eager to talk about their art, but not all of them felt comfortable giving their names for this story. Some said that is out of concern for their safety. LJ is one of them. She worked on a piece with bright primary colors. Next Monday, Wooster City Council is slated to hear a third reading of a proposal that could lead to fines for people who are homeless. If passed, the law would allow police to charge homeless people with a minor misdemeanor if they refuse to go to a shelter. The ACLU of Ohio is calling on Wooster to reject an ordinance that could punish the city’s homeless population. 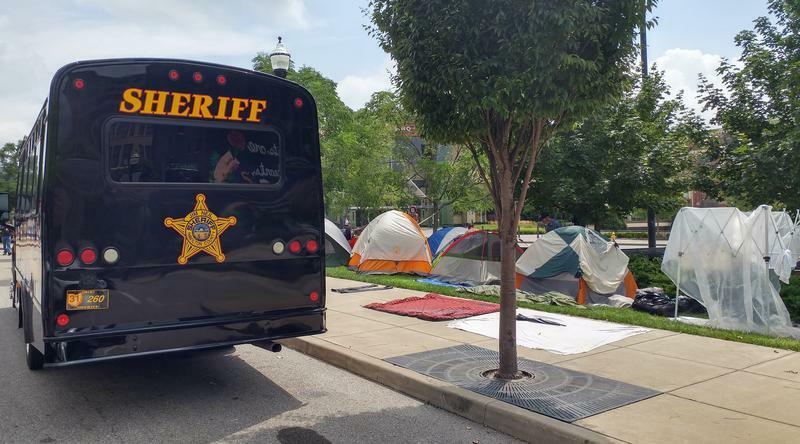 The ACLU of Ohio is suing a Hamilton County judge over an August ruling banning homeless encampments. The group filed the mandamus action with the First District Court of appeals Thursday morning on behalf of New Prospect Baptist Church.